Meet Eileen Campbell, Senior Director of Advocacy. Q: First things first. How would you define advocacy? On a basic level, what is it and why is it important? A: I think advocacy is about shifting the balance of power. At IJM, we use advocacy to shift the balance of power toward our clients and thousands of people like them. As Americans, we have this incredible privilege, which is to tell our elected leaders what matters to us. And if enough of us care about the same thing, and we work together, we can actually build up enough power to create change, even change the course of history. Q: How would you say advocacy fits into the work of IJM? A: IJM’s casework is amazing and irreplaceable. We’ll never stop caring about the individual client, the ONE. This keeps all our work, including our advocacy work, grounded in reality, in real people’s stories. But when we look at trying to create long-term, sustainable changes in public justice systems, or changes in the way that donor countries think about investing in justice systems, advocacy has an important role to play. There are some deeply entrenched problems that will remain unsolved until civil society and the public demand change. Q: What brought you to your current position? Where were you before? What lead you to IJM? A: Holly Burkhalter. Need I say more? Before IJM, Holly and I worked together at Physicians for Human Rights, a health and human rights organization based in Boston. Q: It seems like being plugged in on a local level is pretty important to being an advocate. Where do you call home? A: Boston, MA! Go, Brady! Q: Now that we know a little about what you do at work, what do you do for fun? What’s a favorite movie or TV show that you’ve enjoyed this past year? A: My husband and I recently watched the Indian film The Lunchbox. We loved it. It also made us really hungry for Indian food. Q: Tell us about one of the best foods you’ve ever had and one that you don’t care to have ever again. A: Best: fresh hummus in Jerusalem. Worst: I know they’re really good for you, but I just hate beets. Q: Finally, if you could make 3 lunch dates with anyone from any time, who would be on your list? A: Well, since my husband and I never get out, I feel like I should put him on the list. Second would be Pete Seeger, an American folk singer and hero of mine who died this year. Finally, my grandpa, Patrick Campbell. He was a beautiful person with a beautiful Irish brogue and I miss him so much. 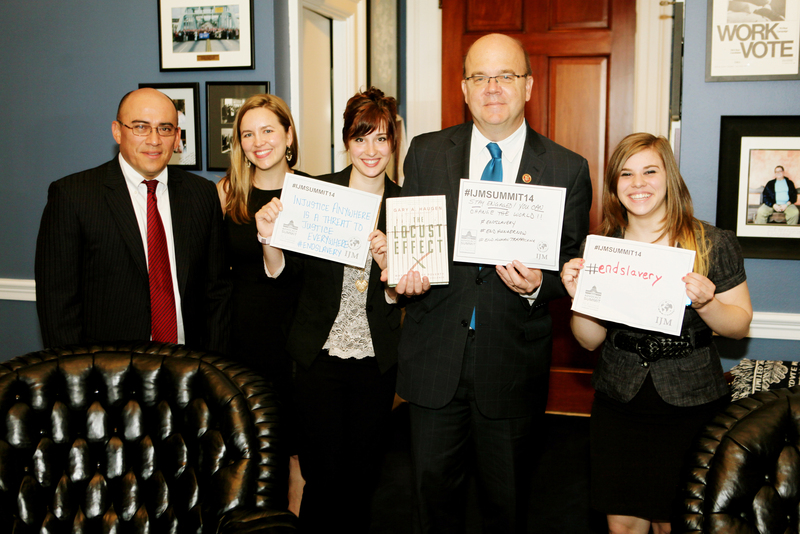 from Massachusetts meet with Representative McGovern at the 2014 Advocacy Summit.